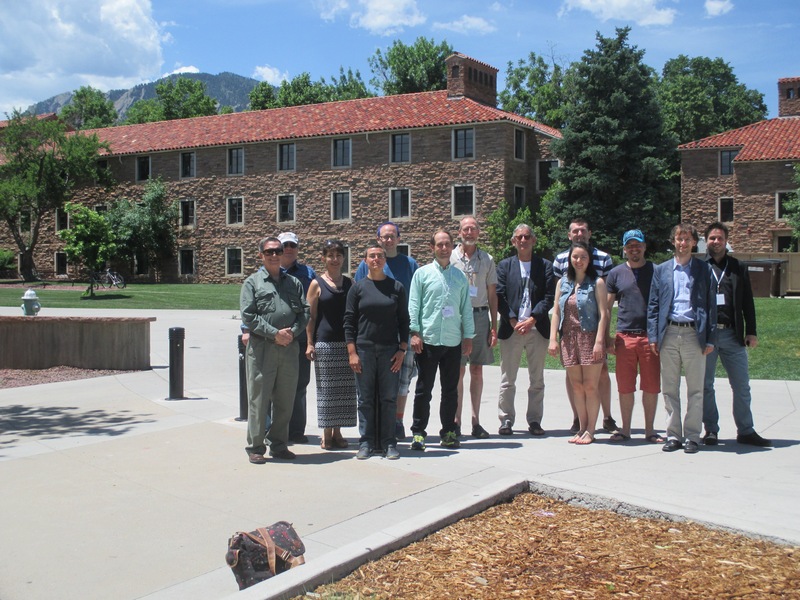 The first Lexicom conference in the United States, after many successful years in Europe, was held from June 6th – 10th 2016 in the spectacular mountainous setting of Boulder at the University of Colorado. This intensive master class on lexicography focused on corpus linguistics and lexical computing. From day 1 Lexicom would kick start our dictionary project in a way we could not have imagined. Michael Rundell, editor-in-chief of the Macmillan dictionaries, taught some of the theoretical foundations of lexicography. His teaching was very pragmatic and interspersed with many practical tips from his decades of experience as a lexicographer. This meant that although theory was discussed, Michael’s focus was especially on its applicability when working as a lexicographer. Topics like creating corpora, analyzing corpus data and writing dictionary entries were addressed. Michael’s experience and humor meant that his teaching was fascinating and easy to follow. Miloš Jakubíček and Vojtěch Kovář from Sketch Engine alternated with Michael. After a theoretical section Miloš or Vojtěch would explain how Sketch Engine could be used for the section discussed by Michael. This way theory and practice were nicely intertwined. During this practical component the class, in small groups or individually, would work directly with Sketch Engine. Most of us were able to immediately work on our own dictionary projects. For my project, a dictionary of Limburgish -a regional language in the southern Netherlands and eastern Belgium- the results were spectacular. During the first day we were familiarized with the WebBootCaT, a web crawl feature on Sketch Engine. With few digitized sources available for Limburgish, this feature had the could potential to kick start a dictionary of Limburgish based on a digital corpus. After 2 minutes WebBootCaT provided us with almost 1.4 million words from about 70 different online sources. I would never have imagined, on the first day of Lexicom, to have such a substantial Limburgish Web Corpus. After 10 years of reading literature and finding suitable words and quotes our project had managed to gather at most 80,000. For most participants Lexicom was immediately applicable to their lexicography projects. Michael, Miloš and Vojtěch were very adept at weaving questions pertaining to our projects into their teaching, but also individually helping us think through the possibilities that Lexicom and Sketch Engine opened up for our projects. The mutual exchange of information and ideas with fellow participants at the conference added to a stimulating and enriching experience. Lexicom fundamentally altered how we conceive of our dictionary project. Sketch Engine will allow us to execute our project with more scientific rigor and much faster. Lexicom was an experience I can highly recommend and should not to be missed by anyone working in lexicography.